Since 1989, the International Reading Association started the Teachers' Choices project that will encourage young people to read. These are books that kids will enjoy—and that contribute to learning across the curriculum. Teachers and parents will find exceptional for curriculum use or reading aloud uses. 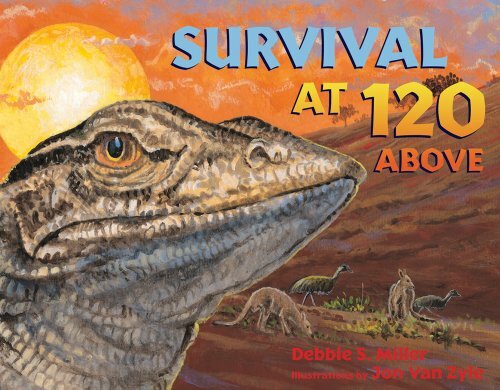 After exploring one of the coldest places on Earth, Debbie S. Miller travels to one of the hottest places, to introduce readers to the variety of animals who call the desert home and show the ways they have adapted to survive temperatures as high as 120 degrees. Creatures such as the sand goanna and red kangaroo have fascinating and unique coping mechanisms for keeping it cool at these extreme temperatures. Miller's expert research and accessible writing will captivate readers as Jon Van Zyle's signature illustrations beautifully depict these animals and their desert habitat. Under the desert's cracked and barren skin, spadefoot toads are waiting for rain. In the endless black of the deepest caves, blind fish find their way. Even in the frozen hearts of glaciers, ice worms by the billion flourish. In this fascinating look at fourteen animals who defy the odds by thriving in Earth's most dangerous places, renowned poet Marilyn Singer and celebrated artist Ed Young show that of all the miracles of life, it is life's persistence that astounds the most. 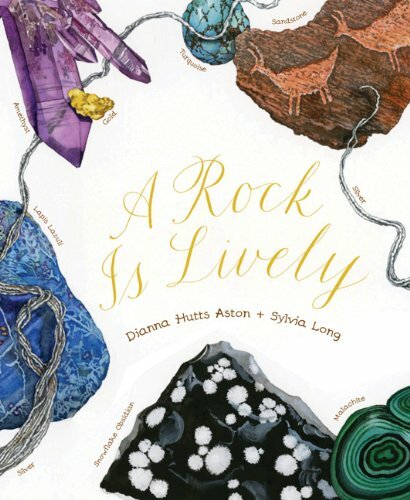 From the award-winning creators of An Egg Is Quiet, A Seed Is Sleepy, and A Butterfly Is Patient comes a gorgeous and informative introduction to the fascinating world of rocks. From dazzling blue lapis lazuli to volcanic snowflake obsidian, an incredible variety of rocks are showcased in all their splendor. 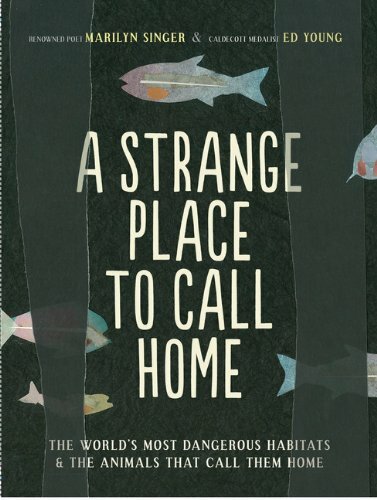 Poetic in voice and elegant in design, this book introduces an array of facts, making it equally perfect for classroom sharing and family reading. In celebration of the fiftieth anniversary of the publication of Silent Spring, here is a biography of the pioneering environmentalist. 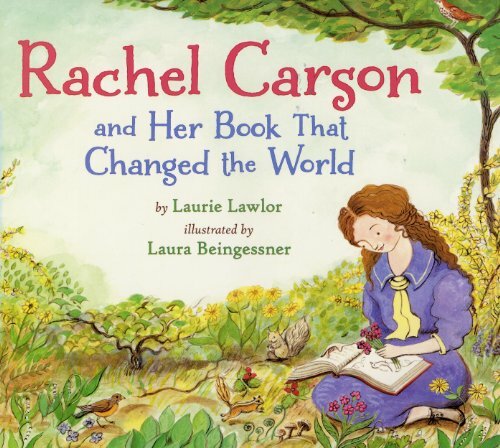 "Once you are aware of the wonder and beauty of earth, you will want to learn about it," wrote Rachel Carson, the pioneering environmentalist. She wrote Silent Spring, the book that woke people up to the harmful impact humans were having on our planet. Langston Hughes was a courageous voice of his time, and his authentic call for equality still rings true today. Beautiful paintings from Barack Obama illustrator Bryan Collier accompany and reinvent the celebrated lines of the poem "I, Too," creating a breathtaking reminder to all Americans that we are united despite our differences. 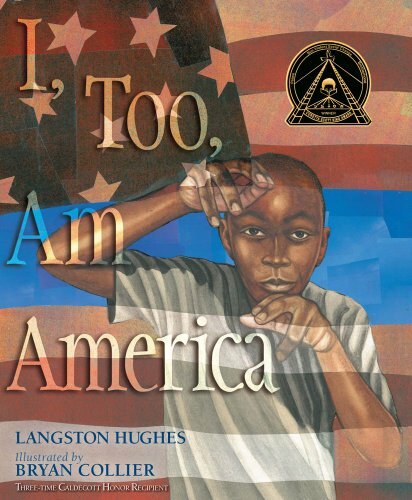 This picture book of Langston Hughes's celebrated poem, "I, Too, Am America," is also a Common Core Text Exemplar for Poetry. WINNER OF A CORETTA SCOTT KING HONOR AND THE JANE ADDAMS PEACE AWARD! 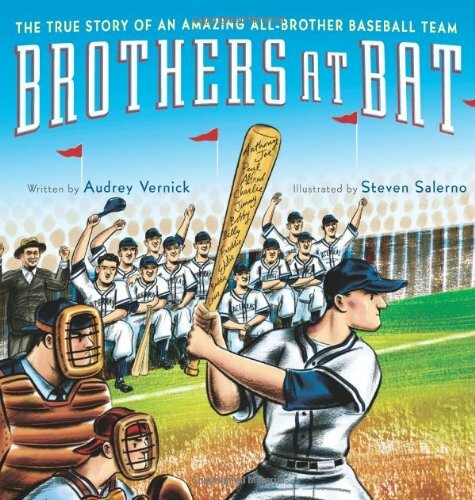 This unforgettable book is written and illustrated by the award-winning team that created The Other Side and the Caldecott Honor winner Coming On Home Soon. With its powerful anti-bullying message and striking art, it will resonate with readers long after they've put it down. Chloe and her friends won't play with the new girl, Maya. Every time Maya tries to join Chloe and her friends, they reject her. Eventually Maya stops coming to school. 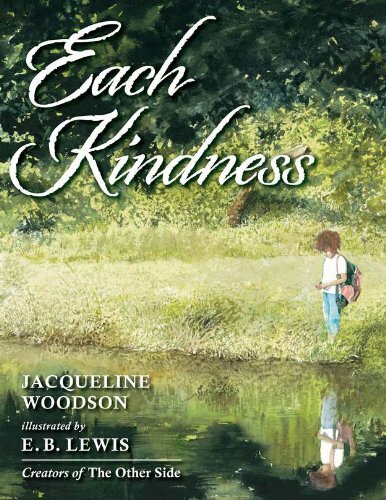 When Chloe's teacher gives a lesson about how even small acts of kindness can change the world, Chloe is stung by the lost opportunity for friendship, and thinks about how much better it could have been if she'd shown a little kindness toward Maya. When the news of the raid on Osama Bin Laden's compound broke, the SEAL team member that stole the show was a highly trained canine companion. Throughout history, dogs have been key contributors to military units. 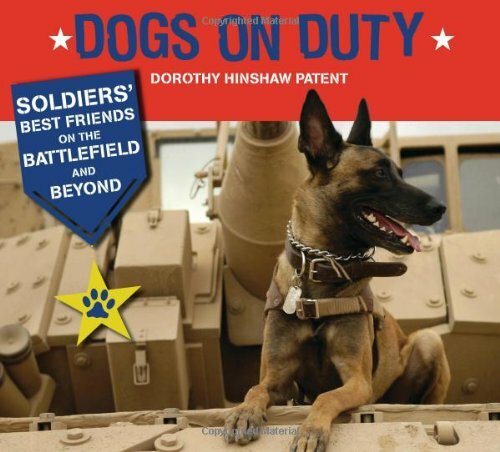 Dorothy Hinshaw Patent follows man's best friend onto the battlefield, showing readers why dogs are uniquely qualified for the job at hand, how they are trained, how they contribute to missions, and what happens when they retire. With full-color photographs throughout and sidebars featuring heroic canines throughout history, Dogs on Duty provides a fascinating look at these exceptional soldiers and companions. 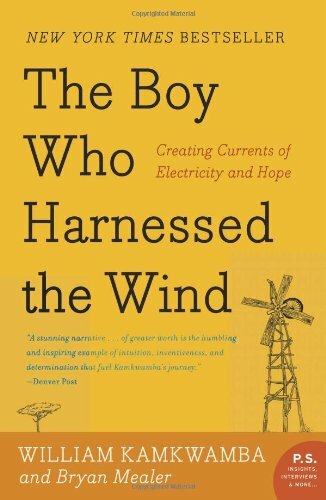 The Boy Who Harnessed the Wind is a remarkable true story about human inventiveness and its power to overcome crippling adversity. It will inspire anyone who doubts the power of one individual's ability to change his community and better the lives of those around him. Beetles squeak and beetles glow. Beetles stink, beetles sprint, beetles walk on water. With legs, antennae, horns, beautiful shells, knobs, and other oddities—what's not to like about beetles? The beetle world is vast: one out of every four living things on earth is a beetle. There are over 350,000 different species named so far and scientists suspect there may be as many as a million. 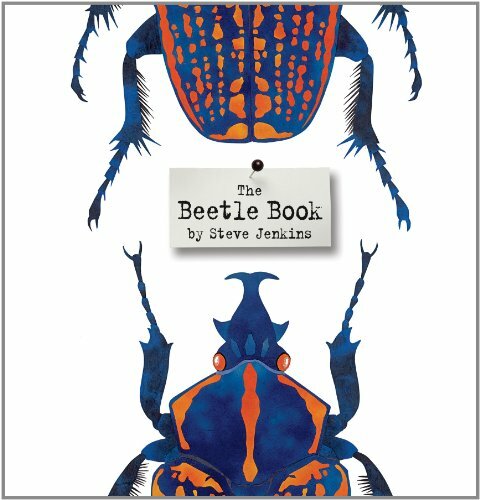 From the goliath beetle that weighs one fourth of a pound to the nine inch long titan beetle, award-winning author-illustrator Steve Jenkins presents a fascinating array of these intriguing insects and the many amazing adaptations they have made to survive.